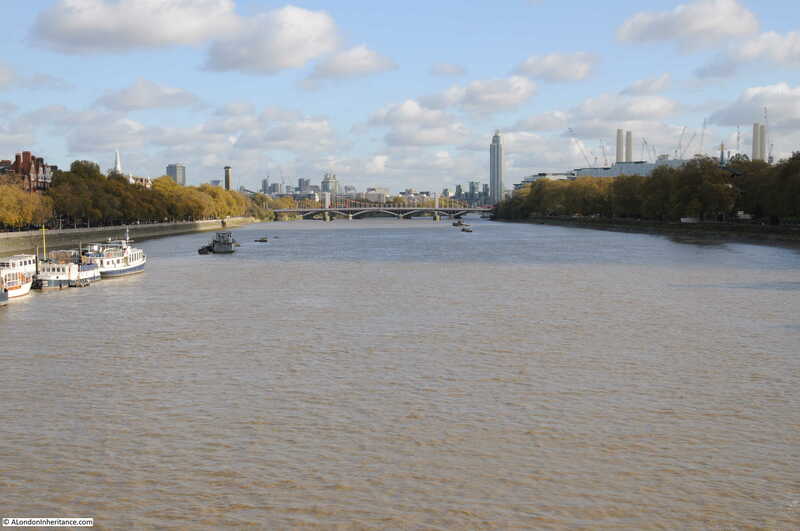 The bridges over the River Thames are key transport links between the north and south sides of the river and closure of any of the bridges can quickly lead to congestion during a busy London day. 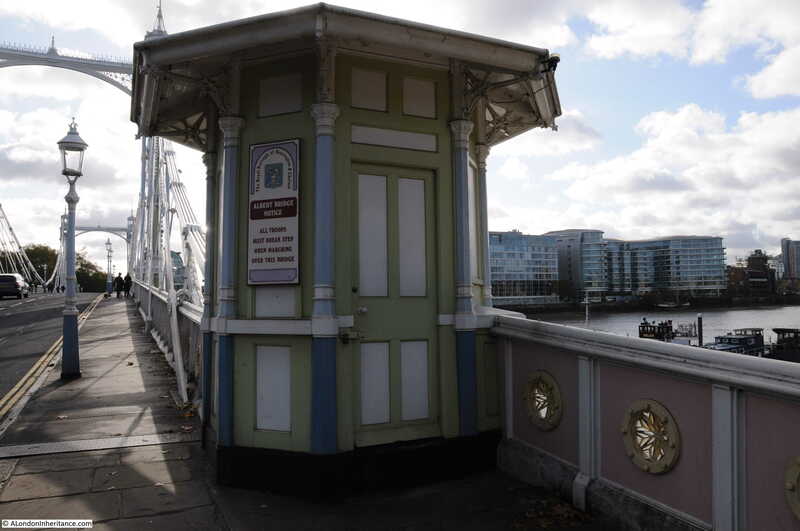 Today, any closures are normally for short periods of time, however during the last war there was a real risk that one or more of London’s bridges would be put out of action by bombing. 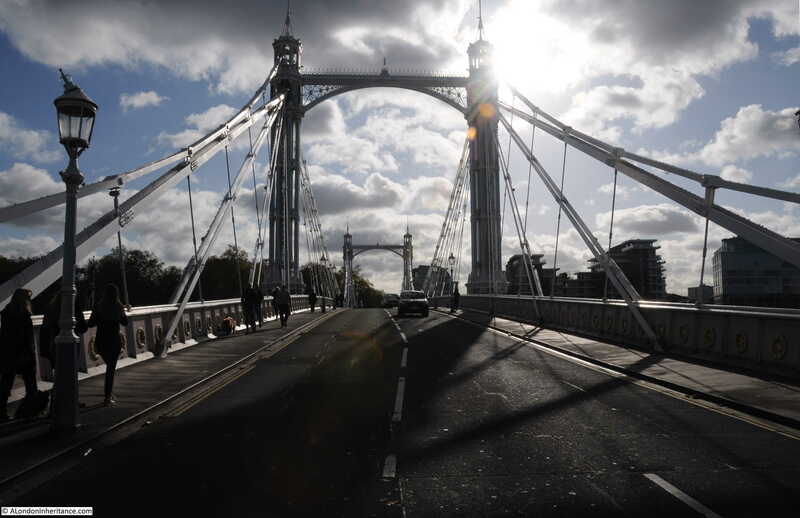 Destruction of any of the bridges would quickly impact the day-to-day business of Londoners and would also cause problems for the emergency services and troop movements. 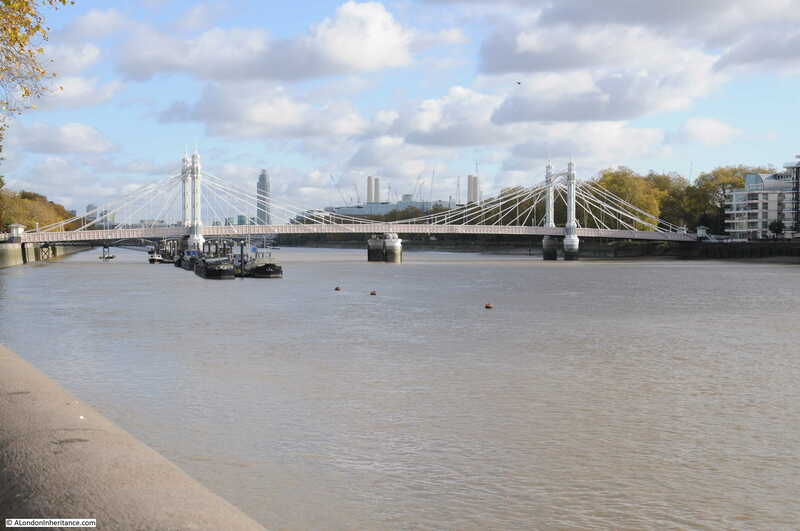 To help mitigate the impact of any damage to London’s bridges, a number of temporary bridges were constructed to provide alternative routes across the river. 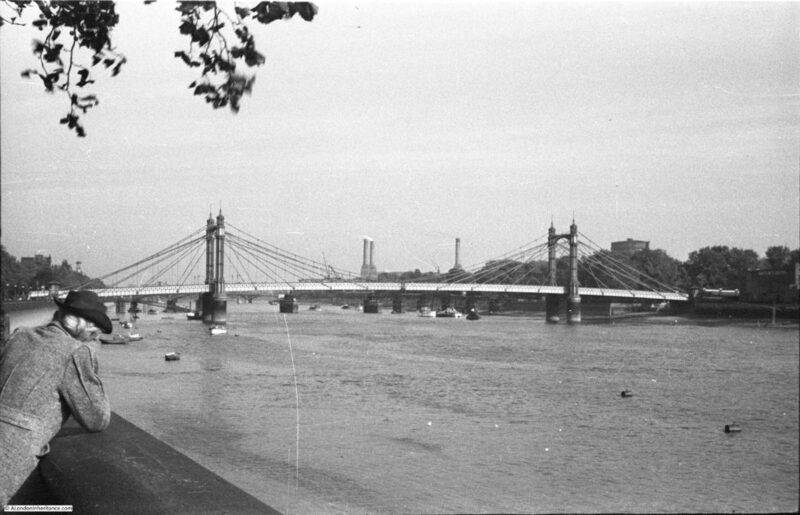 I featured the temporary bridge between Westminster and the Southbank in an earlier post, and whilst searching through my father’s photos I found a photo of one of the other bridges, the temporary Chelsea Bridge, this one providing a route across the Thames from Chelsea to Battersea Park and built across the river between the Albert and Chelsea Bridges. 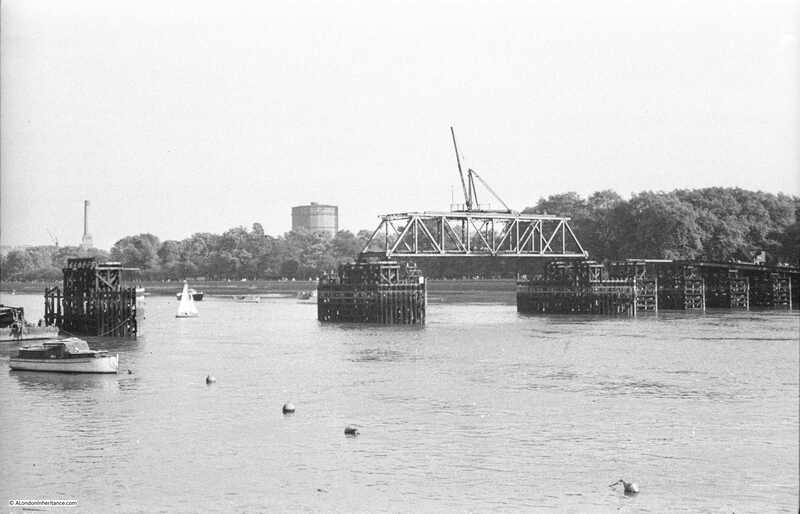 The photo was taken in 1947 and shows the bridge in the final stages of demolition with only the centre box girder section in place, along with the full set of piers sunk into the river. 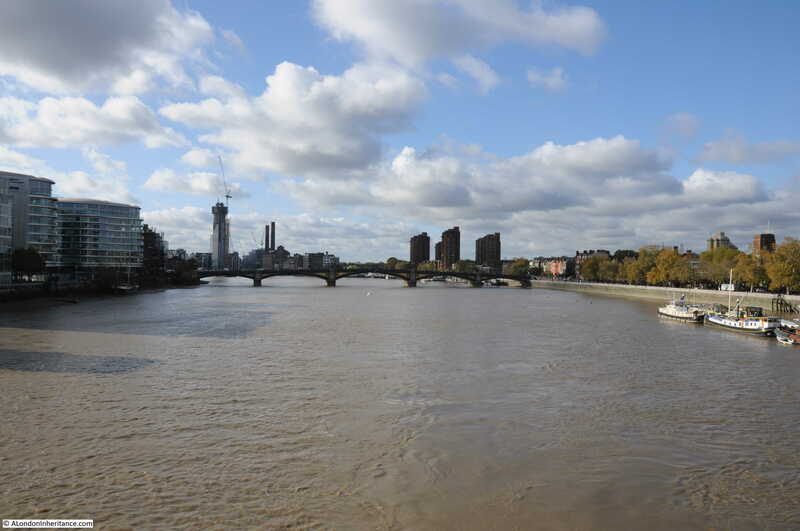 One of the chimneys of Battersea Power Station can be seen to the left of the photo, and just to the left of the box girder section of the bridge is the blue gas holder at Battersea, a local landmark built in 1932 and finally removed in 2015. 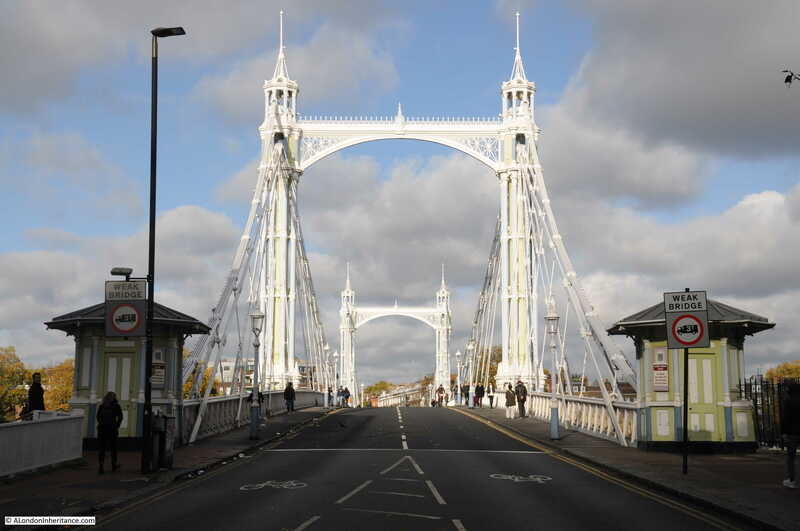 The view from the same position in 2016. 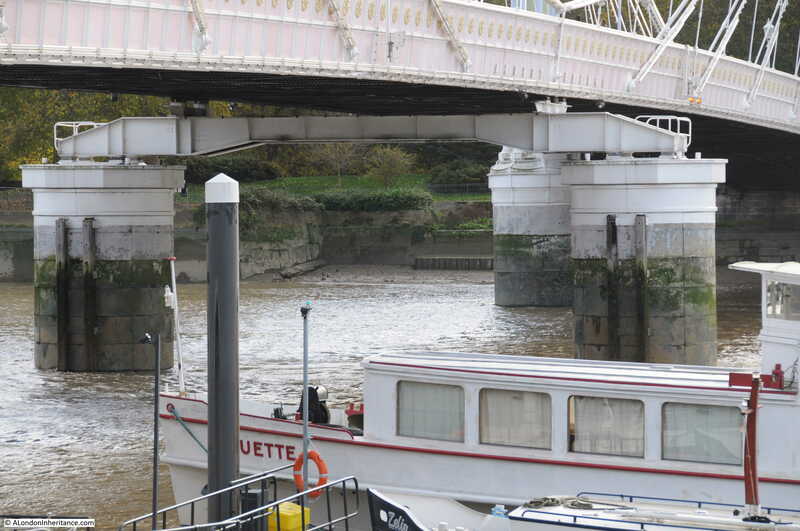 Today, there are no remains of the bridge to be seen, which makes trying to locate the landing point of the bridge rather difficult and I have been unable to find the bridge marked on any maps from the period. 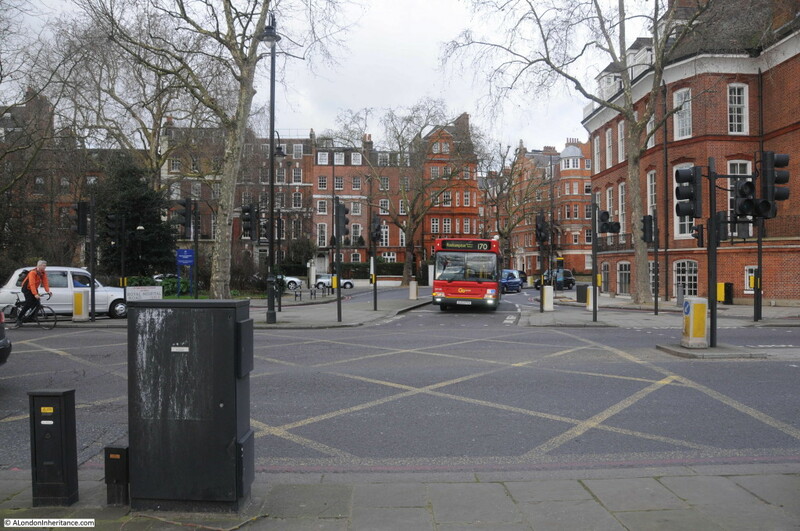 Estimating the position from my father’s photo and looking at the roads in the area, I suspect that the bridge landed on the north bank on the Chelsea Embankment at the junction with Royal Hospital Road. 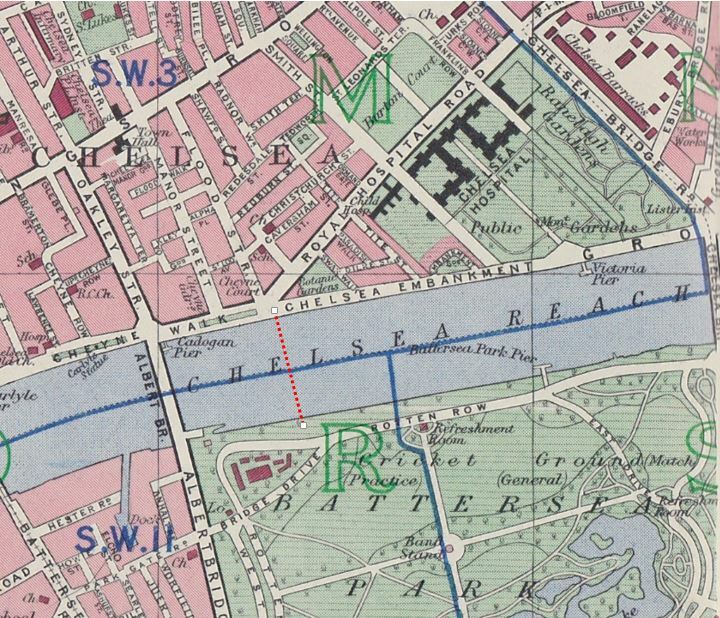 The following map is from the 1940 Bartholomew’s Reference Atlas of Greater London. The streets in this area of Chelsea are almost unchanged. 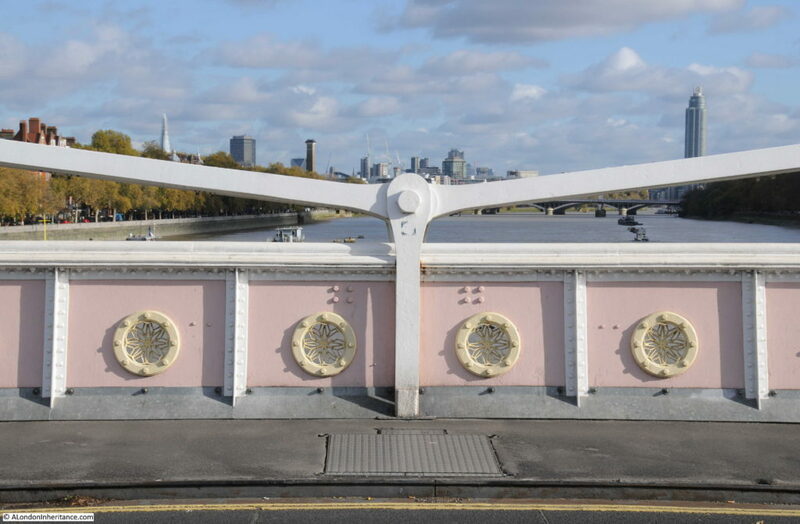 I have marked where I believe the bridge crossed the river with a red dotted line. One of the reasons why a temporary bridge was built in this location was a concern that German bombing would be aimed at the Chelsea Barracks (see top right of the 1940 map) and that the local bridges would also be targeted. 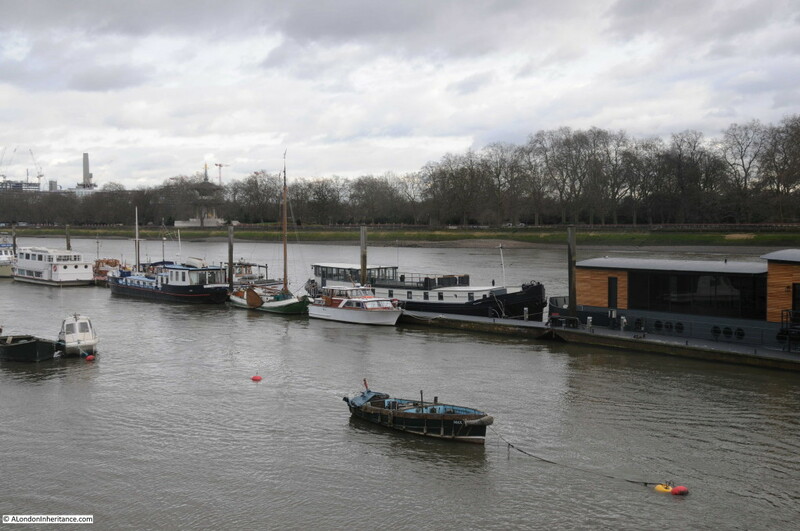 I took the photo below from the Chelsea Embankment looking north into the junction with Royal Hospital Road. 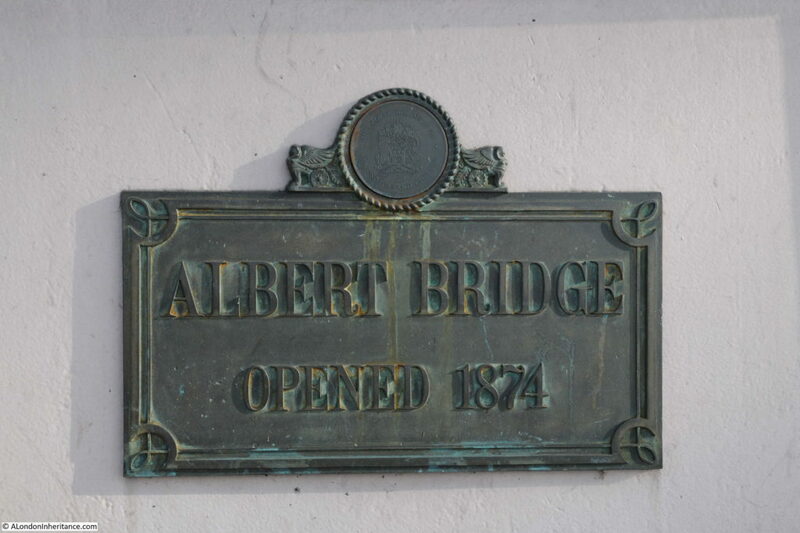 It is here that I believe the bridge landed. 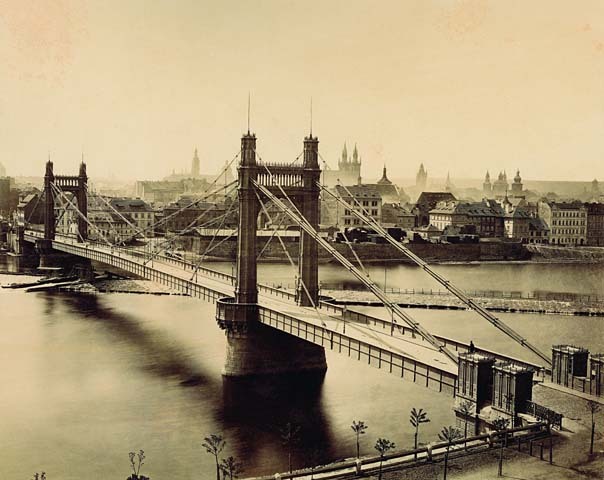 Both the Albert and Chelsea Bridges continued in full service during the war, so the temporary bridge was not needed, but it demonstrates the planning that was put in place to ensure that key transport routes would continue to be available, even if the main London bridges were put out of action. 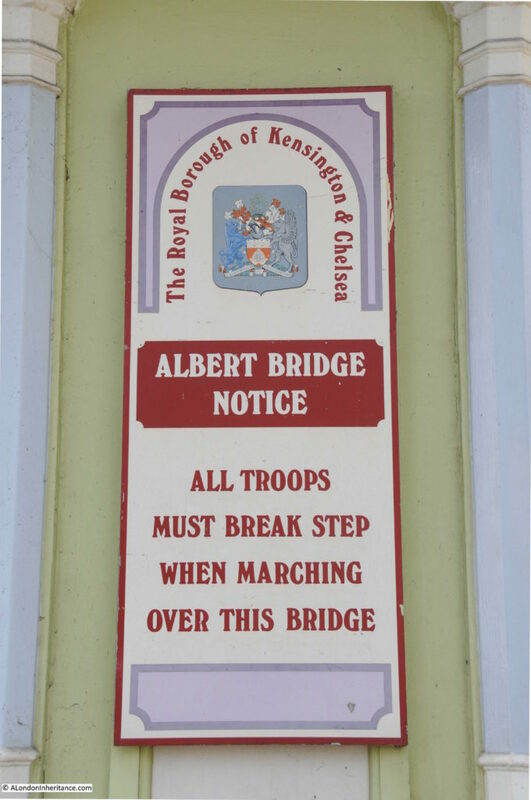 This entry was posted in The Thames and tagged Albert Bridge, Batterea Park, Chelsea Bridge, Temporary Wartime Bridge on March 6, 2016 by admin.